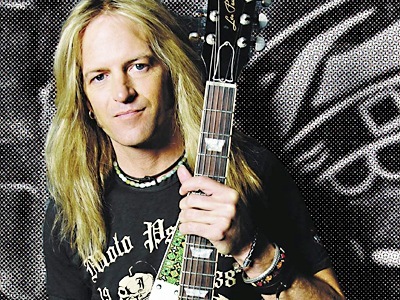 Guitarist Doug Aldrich has announced that he is leaving Whitesnake. Whitesnake frontman David Coverdale confirmed the departure by posting a photo of he and Aldrich on his twitter account with a caption reading, “All the very best, Brother. What an incredible journey we shared together. I planned and hoped DC and I could release a joint statement. We will as soon as possible, but everything happened so fast that we aren’t ready. Firstly, thanks to my big bro David for such a killer run together!! So many songs, tours, projects, always inspiring and pushing each other! Also, not sure how or where the info started about a solo career, but this is not true or correct information. I have no plans at this time to go solo 🙂 I’m just not in the Whitesnake/David Coverdale band anymore. I’ll let you guys know what I’m doing ASAP, but for now please know I very much appreciate your support and will hopefully do a statement with My Brutal Brother DC shortly. Aldrich joined Whitesnake in 2003 and played on 2008’s Good To Be Bad and 2011’s Forevermore, as well as appearing on several live releases, including 2013’s Made In Japan and Made In Britain/The World Records. Alrich’s other band, Burning Rain, which also features singer Keith St. John (ex-Montrose), Sean McNabb on bass (ex-Quiet Riot, Dokken, House of Lords) and Mat Starr on drums (Ace Frehley), released their third album, Epic Obsession, a year ago. Adrian vandenberg shoud be offered the position. His recent band still plays ws stuff. Prettige cool. Alsof the songwriting woud be great n bluesy.